This wonderful 1-bed, 1-bath Tudor revival/deco duplex is a green property due to the insulation in the walls that helps lower bills and outside noise. 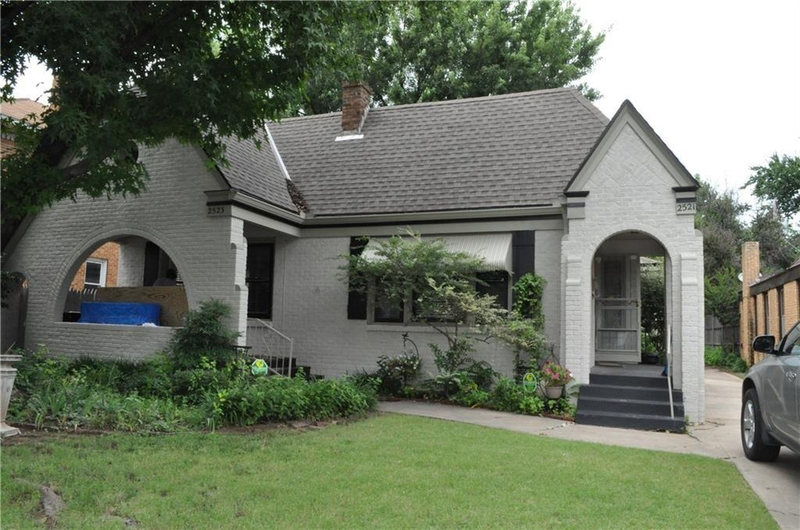 With lots of space and charm, it has a brick fireplace in the living room, large dining, nice size bedroom, a covered porch and two car garage (one per side). Please contact me about 2523 NW 12th St.